18-Year-old Cheerleader Who Killed And Buried Her Newborn Baby Described As A 'very Good Person' By Lawyer. Attorney of 18-year-old Cheerleader who killed her newborn and buried the child has been described her as a 'very good person'. According to Fox News, the suspect identified as Brooke Skylar Richardson was charged with reckless homicide on Friday after remains of a newborn baby were found in her backyard. Richardson was accused of killing the baby after a medical exam determined the child “was not a stillborn baby,” Warren County Prosecutor David Fornshell told Fox News. The baby's remains were found July 14 in woods behind the house after investigators received a tip from a doctor. Although the remains seemed to have been buried for more than two months, according to Lieutenant John Faine of the Warren’s County Sheriff’s Office. 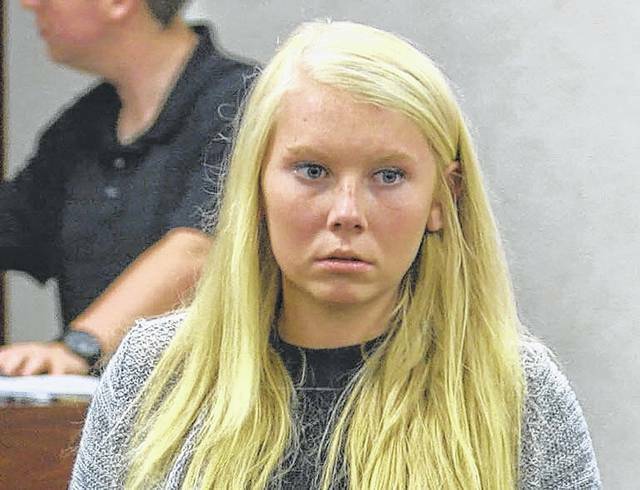 The 18-year-old made her first court appearance in Franklin Municipal Court in Franklin on Friday. She pleaded not guilty to the charges while the prosecutor's office is still waiting to determine the baby’s official cause of death. Speaking to reporters, Charles Rittgers, the attorney for the teenager, said she is a “good student” who recently graduated from high school. Richardson was bonded out of the Warren County Jail. Her preliminary hearing date is set for Aug. 1. But a retired Hamilton County judge, Norbert Nadel who described the case as one of the most disturbing cases he's heard of says Prosecutors may bring murder charges against the 18-year-old. “I think this young lady will probably and should be prosecuted for murder, probably aggravated murder," Norbert Nadel told WCPO Tuesday. Nadel said if anyone else was involved, they could be charged, too. “There must be a father out there somewhere," he said.